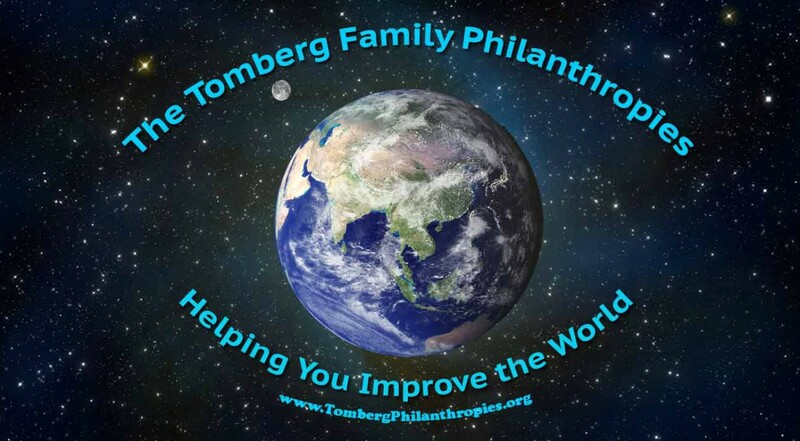 The Tomberg Family Philanthropies is now on Facebook! The Tomberg Family Philanthropies is now on Facebook! We are a small informal family foundation that makes grants in the areas of education, the environment, health and poverty alleviation. Please visit our Facebook page at https://www.facebook.com/TombergPhilanthropies/ and Like it to follow our postings. Our main goal with this page is to spread the word about the amazing work being done by the organizations we support. Our motto, “Helping You Improve the World”, comes from our belief that our grantees do the life-changing work, and our role is to support them in those efforts. Here you will find a curated feed of posts from the organizations we partner with highlighting their programs, their successes and their challenges. We are also dedicated to helping to improve the practice of philanthropy by sharing best practices, insights and news and about the nonprofit sector with others. Finally, we will offer an inside look into the workings of a small family foundation with posts from our Director, Advisory Board members and volunteers. We hope that you will Like our page and that you will get value out of our postings.